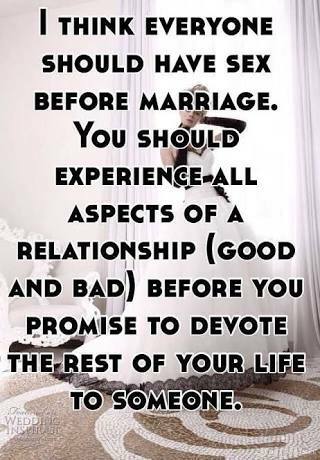 One of the reasons why marriages are not lasting these days is because people go into it based on experiences. This is not work that you need certain years of experience to be successful. Marriage is a relationship, how well you develop a bond or connection with your partner. How well you relate to them. These days singles are jumping into relationships when they know clearly, they are not ready for marriage now. When you enquire why they are doing so the answer you get is "I know I will get married one day so I need to have experience before I go into it". What they don't know is that, what they experience when they are not married with an unready partner is different from that of a partner they settle down with when they are ready for marriage. Others think the kind of experience they have with people at school, group, church, work place, vicinity equals a good relationship and when they get into the relationship and they don't get the same kind of experience, they are quick to conclude they made the wrong choice. Relationship goes beyond contact, observation or events. Relationship goes beyond the nice things you hear about people. It is about how they behave towards you in good and bad times. It is about their willingness to work with you, grow with you as a partner. It is about walking the long distance of life together and not meeting a place, event or junction. If you are going into a relationship based on experience, then you will fire your partner anytime your expectations or experience are not met. Anytime they hurt you, any time they disappoint you, anytime they make mistakes it means it is the end of such relationship. Instead of working together with them in the process of becoming a better person in the future. Instead of helping them to overcome their weaknesses, instead of helping them to bring the best out of them. When you build a relationship with your partner and not just get involved with them on bases of experience, you will appreciate their journey of becoming a better partner. They become more beautiful to you. You become very proud of them. They become your best friend. Relationship has betrayal, denial, hurt and it does not end when these events occur. It is work to build the good out of the bad, whilst people who come into the relationship on experience end the partnership when these events occurred because they are not in to build with you, they are in to enjoy; they are not in to work, they are in to reap; they are not in to invest, they are in to cash out. Relationship has forgiveness; it has many chances and not second chances because it seeks to bring the best out of us, it seeks our growth, because it is based on the basic of love and not merit. "For love makes up for many of your faults" - 1 Peter 4:8b (TLB). Whilst experience seeks perfection and easily gives up when it comes across faults, to such people, you are a problem. They are in for solution. Relationship based on love sees it as a challenge to improve. Experience will give an excuse to back out, Relationship sees it as inspiration to move forward. In conclusion "If you work hard, you will have plenty. If you do nothing but talk, you will not have enough" - Proverbs 14:23 (ERV).